If you have been the victim of a motor vehicle crash or other injury accident, attorney Joe Horrox can help you navigate the insurance claims process. 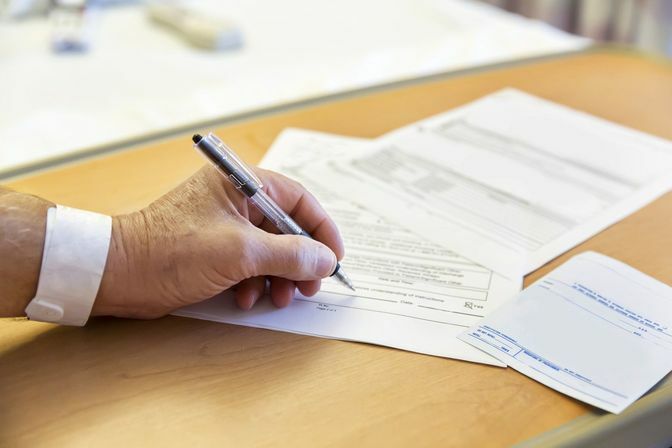 Filing a claim can quickly become complicated, and mistakes will affect the outcome. Our Daytona Beach, FL, practice can help ensure you receive the maximum compensation to cover your injuries and losses. It is best to speak to a qualified attorney before giving formal statements to insurance adjusters. To schedule a free consultation, please call (386) 258-2121 or contact our office online. You can leave the hassle of insurance claims to us while you concentrate on healing. If you are injured in an accident involving another party, you will primarily be dealing with an automobile or homeowners’ insurance carrier. Once you notify the company about the incident, you will be assigned a claims adjuster, who will launch an investigation. If you are involved in an auto accident with an underinsured or uninsured motorist, it may be your own insurance company that is responsible for covering your damages. In any case, your insurer should cover your initial medical and wage loss expenses and then seek reimbursement from the opposing party. In many cases, injured accident victims end up being hurt again by tricky insurance tactics. The outlook is far better when you retain the help of an experienced personal injury attorney. An insurance adjuster will have many questions for you, and may ask for a recorded statement. They may also want to talk to witnesses, visit the accident scene, obtain police reports, and seek specific details about your claimed damages. They will look for information from your current medical provider and your past medical records. They may even monitor your social media for information about your health status. The goals of the insurance company are to deflect blame for the accident from their insured, and to minimize their claims payout, if possible. In Florida, an injured party can recover compensation if they share fault for the accident, but the recovery amount can be greatly reduced. In addition, if it is determined that you share blame for a traffic accident, your car insurance rates may rise significantly. In many cases, injured accident victims end up being hurt again by tricky insurance tactics. The outlook is far better when you retain the help of an experienced personal injury attorney. Our firm can advise you of your legal rights and provide counsel to help you avoid mistakes. As your attorney, Joe Horrox will notify your insurance adjusters that you have legal representation, and then handle all aspects of the claim on your behalf. Although insurers often seek a quick and often insufficient settlement, we will ask you to be patient. Before resolving the case, it is important to know the full extent of your injury, which could require costly ongoing treatment. Joe Horrox Law will make certain that you receive care from the right medical professional, given the nature and extent of your injuries. With years of experience dealing with catastrophic injury and wrongful death cases, our team understands what is required to build your case and fully document your losses. Often, a settlement can be successfully negotiated, but sometimes filing a lawsuit is necessary in order to collect the compensation you truly need. During your initial consultation, you will receive an honest assessment of your case. Joe Horrox Law takes cases on a contingency basis only, so no up-front legal fees are required. For accidents throughout the Daytona Beach area, including Palm Coast and DeLand, please call (386) 258-2121 to schedule a free consultation. Joe Horrox can make certain that you receive the restitution you will need in order to rebuild your life in the wake of an injury and other losses.